It's easy to get clients booked on your Clio calendar. While Clio doesn't provide a public-facing interface for clients to book appointments or consultations, it does sync directly with your Google Calendar, and therefore allows you to use some of the great appointment/calendaring tools available. We recommend Calendly and Acuity Scheduling. Both are free solutions that give you public pages for your different appointment or consultation types, allow payment of consultation fees, and more. They then synchronize with your Google Calendar, which synchronizes with Clio. It may sound clunky, but it works well! 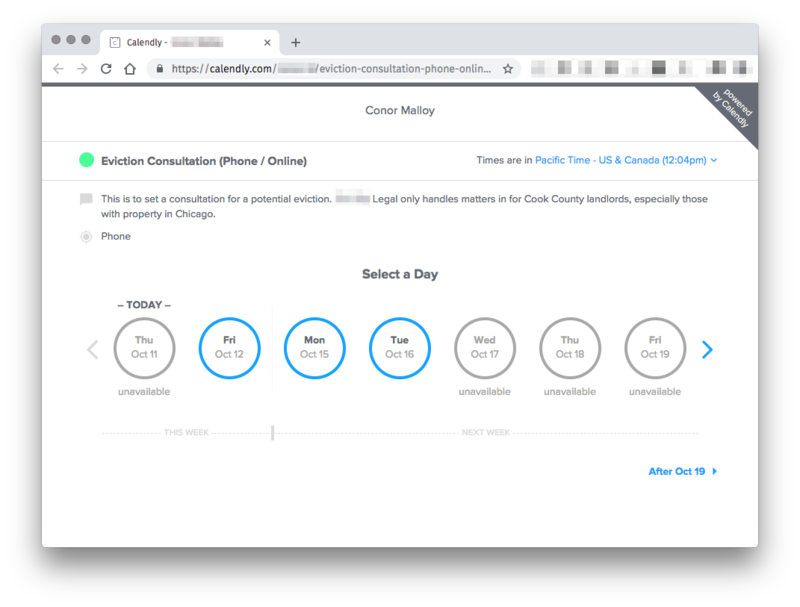 Nearly all our Smith.ai customers are getting people on their calendars this way, since they can also embed those booking forms on their websites and provide them to our website-based Chat Qualification. Are you using another public-facing calendar and have questions about integrating it with Clio? Please let us know.